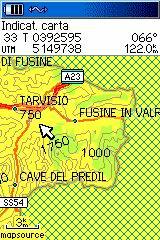 I have decided to open this simple web site for passion and because, reading forums, I have noticed that many persons looking for italian topographical cartography (and not) for Garmin units. A digital cartography that for Italy is lacks, regarding many other countries. I hope therefore to stimulate such development of trade experts and in the meantime to satisfy fond of like me. Unfortunately the time that I can dedicate to hobby is much limited, I make excuses for the long times between updates or new maps. I invite all, to participate actively with proposals, ideas and advices. 04/03/06 Little problem on Itopo products uninstall, I'm sorry. The uninstall process don't delete registry keys with consequently window error on MapSource use. New ITopo_setup files without bug are ready for downolad, look at (*) near the name for it. Uninstall old version and use new setup file, thank you. 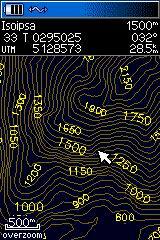 12/01/06 Ready to download: ITopo20 with 20m contour lines. 03/12/05 New corrected ITopo100 v2.1 available for download. It's an exe setup file. 01/12/05 For few web space available and installation difficults ITopo50 v1.1 sobstitute v1.0. This new file isn't zip archive but autoinstall exe. The update from 1.0 to 1.1 again available for everyone. 24/11/05 Download update for Itopo50. 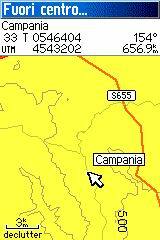 to get a complete Italy Topo Maps. I wish get new detailed topo maps with tographical POI: summit, cross, camps and so on naturals and not point of interest for trekking, skiing, bicycling... Everyone interested about this project can send by mail the waypoint records along the way, I'll convert these waypoint on new updates for ITopo map. Thank you very much. 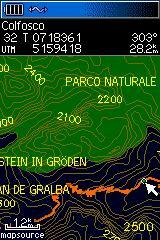 Ready to download ITopo50 with 50m contour lines! 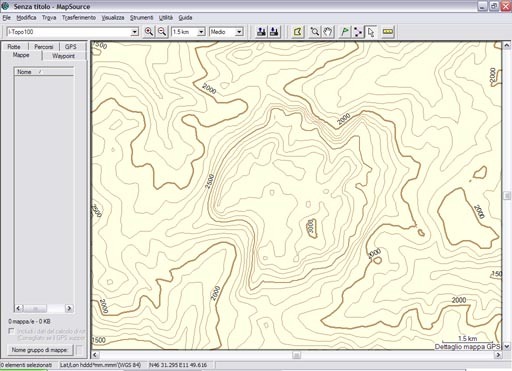 Work with MapSource or Sendmap softwares. 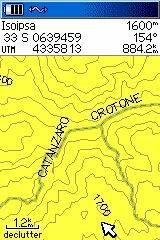 Italy's map with 100m contour lines. Trasparent map usable with original Garmin products. Mapsource image and GpsMap60 (night vision) images with city select. Italy's map with 100m contour lines, regionals and provinces contourns. Italy's map with 50m contour lines. The single map name of every *.img file rapresent the left down corner coordinates. 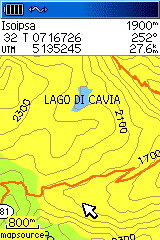 - correct Colli Euganei zone. Italy's map with 20m contour lines. Attention: you use these products at your own risk.